Walking the Cornish Coast Path | Notes from the U.K. This entry was posted in History, Walking by Ellen Hawley. Bookmark the permalink. This was an absolutely stellar read for a Friday morning – thank you! And I think you have every right to be bursting with pride over your dry wall, quite the achievement. I think Americans are more familiar with turnstiles, rather other types of stiles (which don’t turn, I guess). I bet the sheep aren’t too crazy about it either. You’re right. The sheep, somehow, have failed to fall in love with her. And it’s strange but I didn’t stop to think about the stile in turnstile. How obvious. How invisible. Thanks for mentioning it. Delightful read. I think the trick to building solid dry wall is to allow the rocks to flex. In late winter and early spring, the frost will jostle the stones. It took me a while to get used to this idea, but I don’t think the frost here goes deep enough to be a problem. My best guess is that as the soil gets saturated it expands, putting pressure on the stones. If I’d stacked them more carefully, and slanted the layers inward a bit (I did try), I think they’d do better. Or possibly something else. Or multiple something elses. I had a hunch you’d enjoy this one. Glad you did. 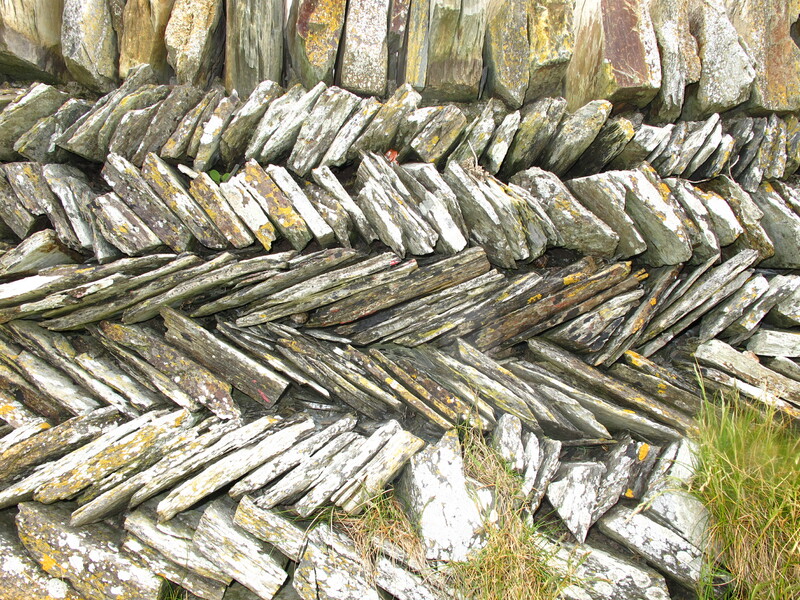 I was just telling my husband the other week that I miss drystone dykes. If there is a tradition of building walls without mortar here in Pennsylvania then I have yet to stumble upon one. 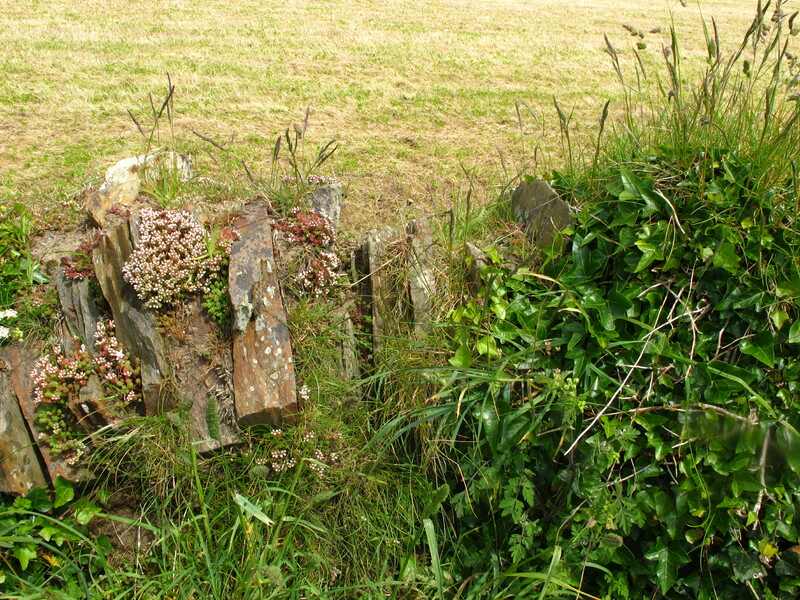 I did some drystone dyke repairing in my youth which I think gave me an appreciation for them. I actually did not realise that stiles were not a thing in America. I wonder why that should be? It always struck me as such an obvious thing to do. 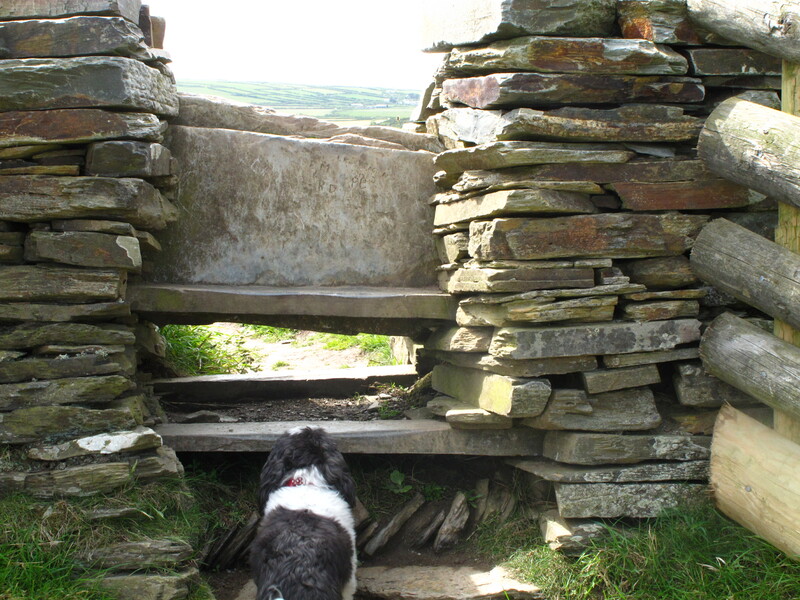 There were a couple of stiles near where we lived in Argyll that were adjacent to easily-opened gates yet my kids and I would still clamber over the stile. 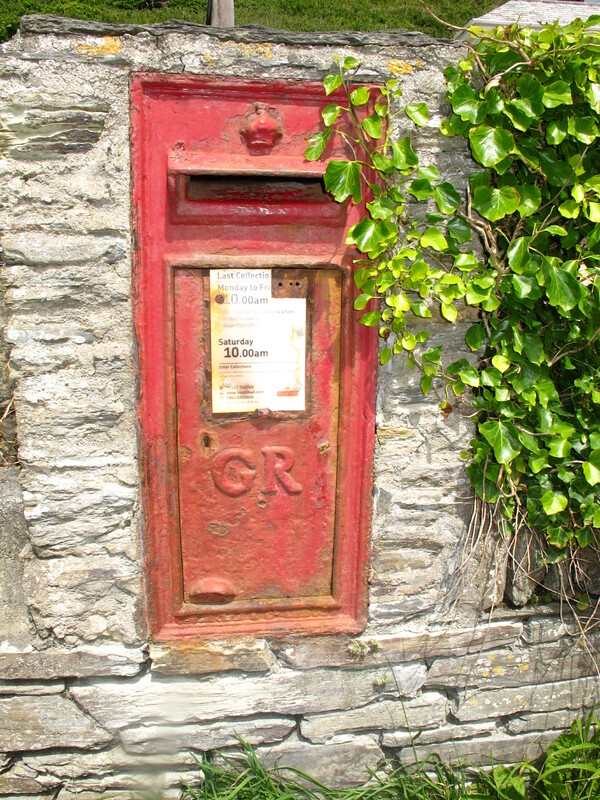 There are actually more GR postboxes around than you might think. They do tend to be the ones built into walls for obvious reasons. I have seen a good few GR ones. My in-laws used to live in Tunbridge Wells and there they had a VR postbox. Did you know that there was a flurry of postbox destruction in Scotland in the 1950s because the postboxes were emblazoned with ERII when the current monarch is only the first Elizabeth to sit on the throne of Scotland? Now that is obsession with history and postboxes right there. Great story about the ERII mailboxes in Scotland. The same issue comes up in a song I heard as a teenager, when I couldn’t figure out what “how can their be a second Liz / when the first one’s never been?” meant. I remember stone walls in New England, and I’d bet some fairly small amount of money that the oldest ones are unmortared. Oh yes. Now you mention it, I’ve definitely seen a drystone wall surrounding a cemetery in MA. As they were explained to me, those drystone walls were the easiest way to clear the fields–in addition to being one way to build a wall. I’m just back home from the confinement of a long house/cat/koi sitting and this walk was just what I needed. 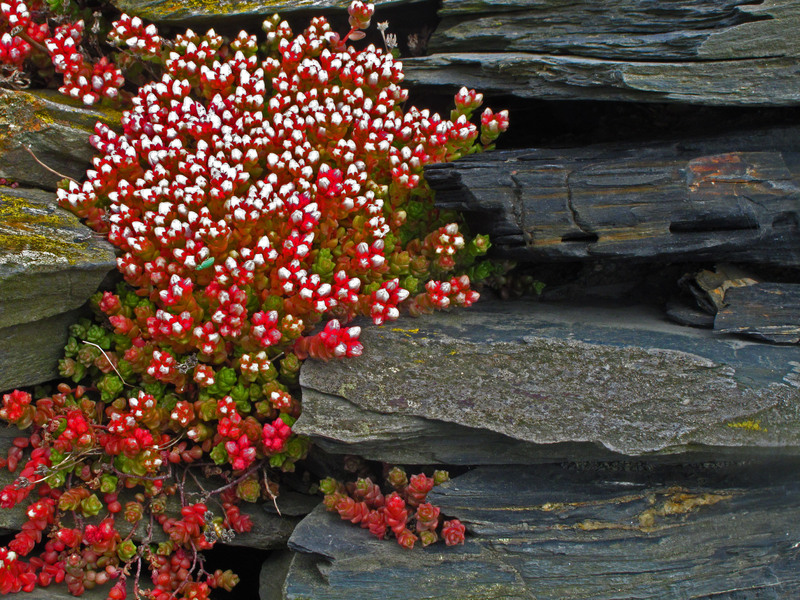 It put me back on a solitary walk on the Welsh coastal path near St David’s on a fine day in May a few years ago. Also made me want to try some wall building but I live on a giant sand dune with no “stone” bigger than a grain of sand. Great read. Thanks! Mmm, yeah, I don’t think that’d work with sand. How do they hold the houses in place? What a vivid description of a beautiful walk. Incidentally, outside St Gennys Church there is a VR post box! I’ve never noticed that there’s a mailbox there at all. I’ll have to look. Another interesting and educational post. Thank you. Loved the bit about the mailboxes! Fabulous walk! I needed the exercise and enjoyed the history lessons. What a beautiful area of the world you live in. It is just ridiculously gorgeous. Glad you’re able to keep up. Some of the hills are steep. What strikes me as odd, now that I know to look for the initials, is that I never noticed them until someone mentioned them to me. I love all the detail. And being a former Minnesotan myself, I can identify with your perspective even more. It’s a funny thing, but I feel more like a Minnesotan over here than I ever did in Minnesota. There, I felt like a displaced New Yorker. Oh, and I couldn’t help but think that the word “turnstile” for subway fare collection has to do with the word “stile”? What do you think? Have a super Saturday and thanks again for sharing this pretty walk with us! Yes, absolutely, it’s the same root. Someone else also reminded me of the turnstile, and until then I hadn’t made the connection–although I grew up in New York, plugging subway tokens into many a turnstile, so you’d think it would have been obvious. It wasn’t. But yes: Like the (free) stiles here, a turnstile both a barrier and an entry. Thanks Ellen for your reply :-) I have always actually wondered why they are called turnstiles…I’m glad we have the NY connection in common…Indeed, the turnstile is both a barrier and an entry…I’ve seen some people jump the turnstile and it’s always quite shocking to see since it’s outside of the normal routine! I remember the turnstile jumpers. I always sort of admired their style–no pun intended. If I tried that, I’d catch my foot on the way over and end up sprawled on the cement, looking at the transit cop’s shoes. Indeed, they resemble Olympic hurdlers in a way! One big jump and they’re over! I like your pun, by the way! Always an fun read, but where’s the irrelevant photo of Fast Eddie? Ah ha! I moved it. I just added a whole page for them. Enjoy. Had my hand up to ask a question, but it took so long to get to the bottom of the comments I forgot what it was. The question. No matter….you weren’t looking in my direction. Bugger all. Nothing left to do but…what? I’ve forgotten what comes next…. Frightening: another mind that works like mine. Sorry. Next time don’t wait–just yell out. I’m American, remember. You’ll have to work harder than usual if you want me to think you’re rude. I felt like I was there with you. 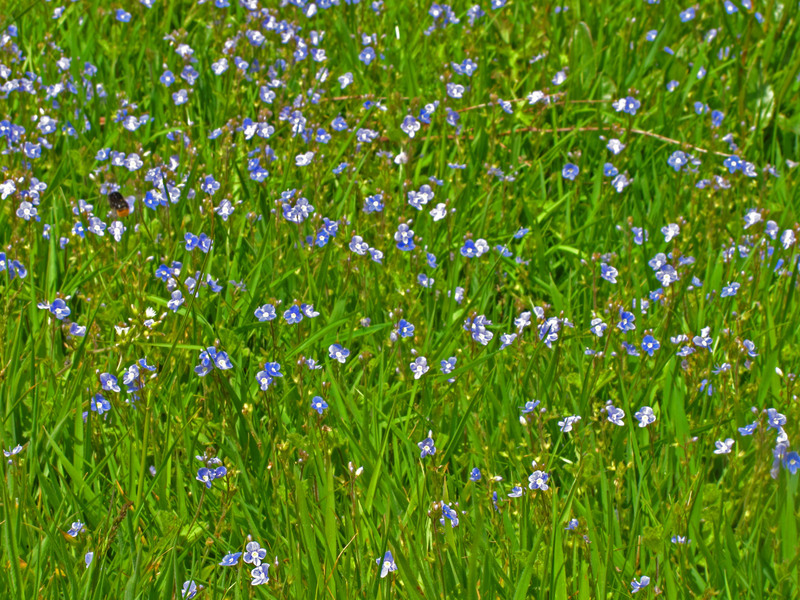 I wanted to stop and gaze at the wildflowers grown into the walkway, but I kept up. It was worth it! Glad you came along. It wouldn’t have been the same without you. The Boffin is walking down memory lane with me through Google Street View because of your post. His family used to holiday in Polzeath and would love to take us to Cornwall to explore the rest of it. If you can, do it! Even though Rock has been gentrified to within an inch of its life, and I’m guessing Polzeath has moved in that direction although I’m less certain of it, the coastline is still the coastline, and it’s beautiful. When I told the Boffin about Rock, his reaction was, “Oh, bloody hell!” I had to explain to him these things happen, and he isn’t around to enforce these things after 16 years. He can always write an indignant letter. Actually, if he can find a way to change it back, a lot of people would be grateful. Very, very grateful. Tell him I’m happy to help if I can. It really is beautiful. After nine years, it still amazes me. I enjoyed this piece so much. You are such a fine essayist. Feeling out of place is such a freeing thing. You end up having fresh and new eyes everywhere! I couldn’t agree more about being out of place. It can be a gift. As for being a fine essayist, thank you. That’s a really lovely thing to hear. I saw a pillar box in St Louis in Mauritius with “VR” on it. You can tell the collector that it was near the national museum, if you see him again. Lovely post. I enjoyed it greatly. I wish I could, because I’m sure he’d love to know, but it was one of those conversatins with someone we’re not likely to run into again. I’m commenting on my own blog. But for a good reasons. Re GR on post boxes. Probably for George V, but some post boxes with just GR on them were used on the accession of George VI, until ones with a new design to indicate the new monarch were produced. You seriously know your post boxes. Having come from a country where they all look alike (as far as I know, and I hope someone will contradict me if I’m wrong), it’s amazing to find so much history hidden in plain sight. I never thought about that aspect of the old money. With my stunning numerical incompetence, I’ve simply been grateful I didn’t have to struggle with it. A couple of friends have run me through how many whatsits in a which, and my brain simply shut down and heard nothing but a persistent buzzing sound. This really seems like a great place to visit and explore, Ellen. 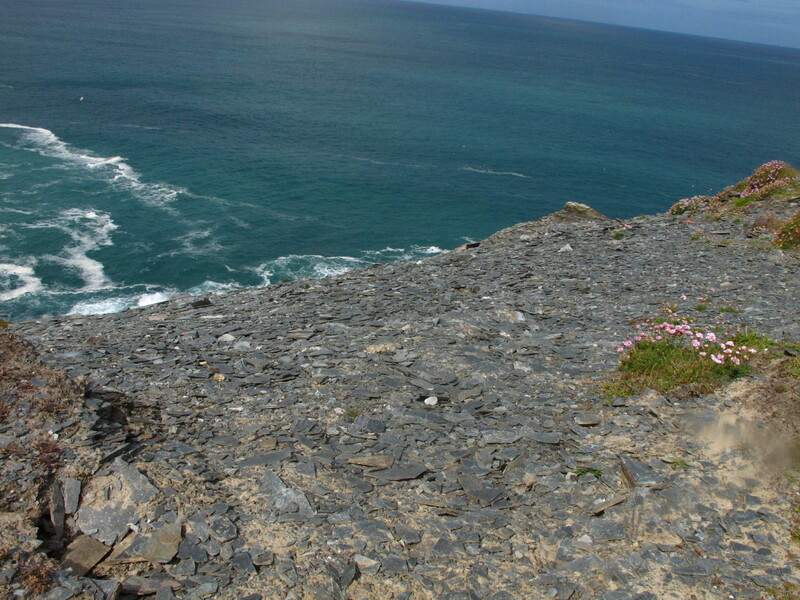 The Cornish coast seems so picturesque. How many days would you recommend staying there? Sorry, you got dumped into the spam folder–which, bizarrely, I actually read from time to time. I’m not sure why, since your comment’s (a) relevant (b) coherent, and (c) not full of links. To answer your question: I can’t answer that question. It depends on how long you have, what you want to do, and–well, how long you want to stay here. It’s beautiful. If you’re a hiker, you could spend endless time here and not be bored. If prehistoric sites interest you, ditto. On the other hand, if you’re looking for large art museums, you’ll run out quickly.